People listen to stories. I’ll repeat…People LISTEN to stories. Stories evoke emotion and emotion can sell ideas and things. Deliver with feeling and passion for your topic. Provide eye-contact to everyone in the room. Be sure you have vocal variety and present a confident posture with gestures that feel natural and support your story. Speak with a strong enough voice so everyone can hear you. Don’t mumble or provide too much information. Be succinct. Take the audience along on the journey. If you realize that you’ve forgotten a part of the story, weave it in later. Find the conflict, the tension (budget issues, project issues, etc.). What do the “characters” want most? What is preventing them from getting it? How does it all get resolved? How do the “characters” change by the end of the story? Remember: Just think about how your content is really a story that is unfolding or has already unfolded. Enjoy the process. Speak from your heart! 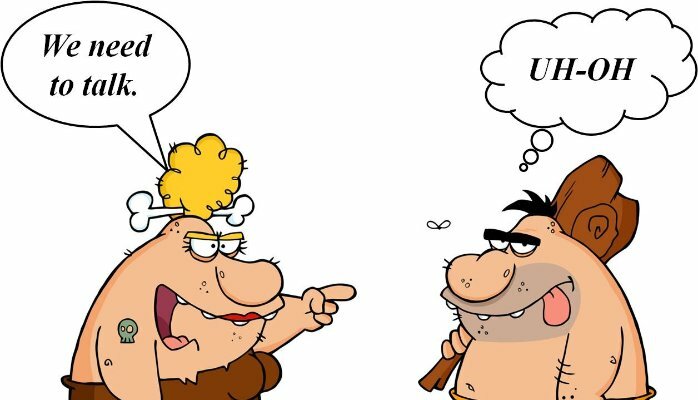 The differences in the way men and women communicate possibly began like the cartoon above. Or, maybe when Moses was wandering in the desert for forty years and wouldn’t stop to ask for directions (now there’s GPS so men seem to be more willing to ask for directions). In the workplace, these differences impact the way messages are sent and received, thus causing communication breakdown, misunderstanding and major frustration. 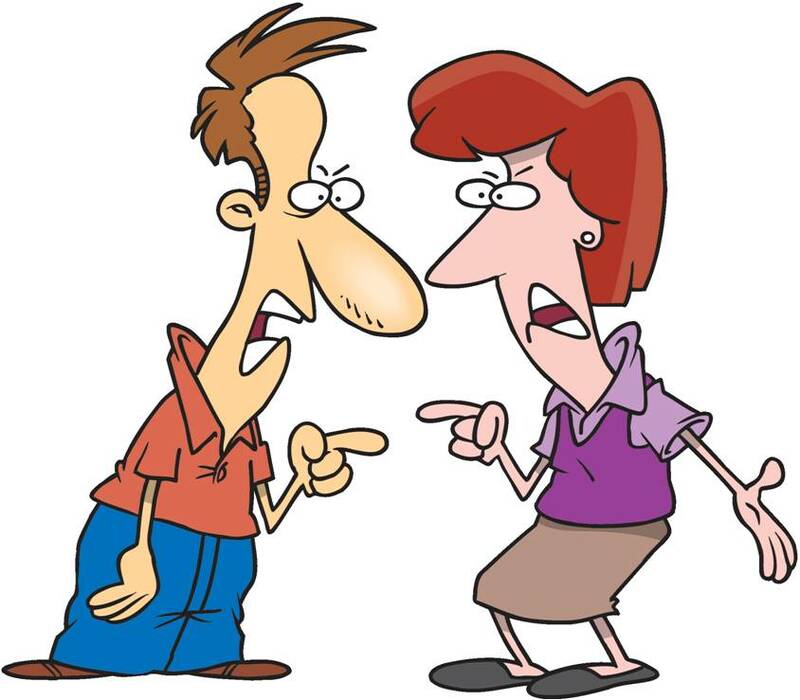 For example, a female supervisor talks to her male boss about a problem she is having with one of her employees. Her intent for the meeting is to inform her boss of the problem. She just wants him to actively listen to her and rephrase and repeat what she’s saying so that she can become more clear on how she wishes to proceed. She’d like him to ask her some probing questions about options, etc. Instead, he begins telling her what she should do with the problem employee. She becomes frustrated and leaves, feeling like her time was wasted. He feels he has solved the problem, and it’s time to move on. Communication breakdown! Taking this situation into the home, the wife wishes to talk to her husband about a problem she’s having at work and he jumps in with the solution before she has had a chance to process her options. 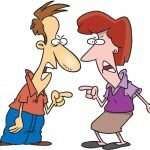 She gets mad and leaves the room saying, “You just never listen!” Communication breakdown! An immediate translation is what’s needed. Having a deeper awareness of gender differences will help you increase understanding, decrease tension and improve teamwork. It is crucial to embrace differences and realize that there may be alternative ways of doing things. It would behoove us to listen to each other and be more open to learning from our differences rather than allowing them to stifle our growth and ability to communicate with one another. Keep an open mind (I define communication as the transfer of meaning with understanding and without judgment. As soon as you judge, you risk communication breakdown. Evaluate don’t judge). Listen with integrity (Be present). When in doubt, check it out (If you are unsure of your role in the conversation, ask). Take the time to talk about talking (Don’t let misunderstandings simmer; they’ll erupt and make things worse). Create an environment where people feel safe sharing ideas/opinions (Make it part of the culture you create). Jean, one of my clients, was telling me she felt she was pulling the weight of one of her coworkers and now she was harboring negative thoughts and feelings about this person. The negativity kept festering and was interfering with their daily communication. I knew if she avoided confronting the situation much longer things would just get worse. I also knew what she needed to do to prevent that from happening but I had to bite my tongue from telling her what she should do. I remembered how lousy I felt as an adult every time my mother told me I should do this or that. Even though I’m Jean’s coach, I knew shoulding on her wouldn’t help. I really needed to know more about her situation so I could ask the right questions that would help her discover how she wanted to handle it. If you have ever wanted to help people without shoulding on them all you have to say is, “Tell me more.” These three words are very powerful. As Thich Nhat Hanh says, “The most precious gift we can offer anyone is our attention.” By saying, “Tell me more,” you’re offering your attention and showing you care. 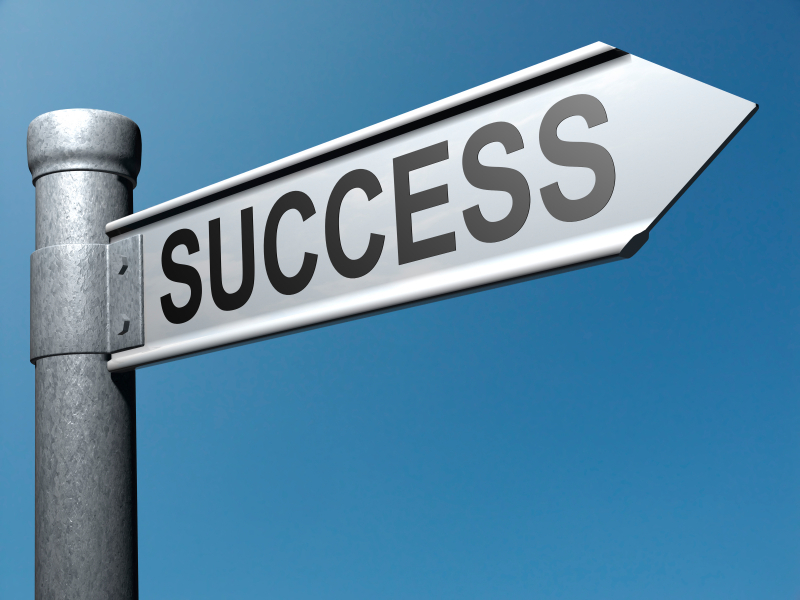 These three words are also great when uncovering what a prospective customer may need or want. I’m really frustrated and angry. I want to be sure we make our deadlines so I find myself doing your portion of the weekly report when it gets close to the cut-off date. I resent having to do this. So, it would help me it if in the future I knew I could count on you to get your part done on time. If you need some help or we need a better process, please let me know so we can make that happen and I can feel less stressed about this important deadline. We also should remember the concept of MEAPLE which I learned while in college studying communication education. It’s an acronym that means…meanings are in people, not in words. Words have many meanings when used by different people in different contexts. For example, the word staples. It can mean one thing to a grocer (milk, eggs, bread) and another thing to someone who wants to collate papers. If you capitalize it, Staples means a place to buy office products. During the 30 years I’ve been a self-employed speaker, trainer and executive coach I’ve been passed over for numerous gigs. Maybe the meeting planner didn’t like my message or the HR manager didn’t like my proposal or my fee was too high, or whatever. Regardless of the reason, in the beginning I would take it personally and feel like a loser because the MEAPLE I chose to give the word lose, made me feel bad. I didn’t win. I lost. I’m a loser. Acceptance is a big part of life. I’ve learned over the years when I accept and let go of what I can’t control, life is a lot less stressed. It’s a lesson I keep learning. 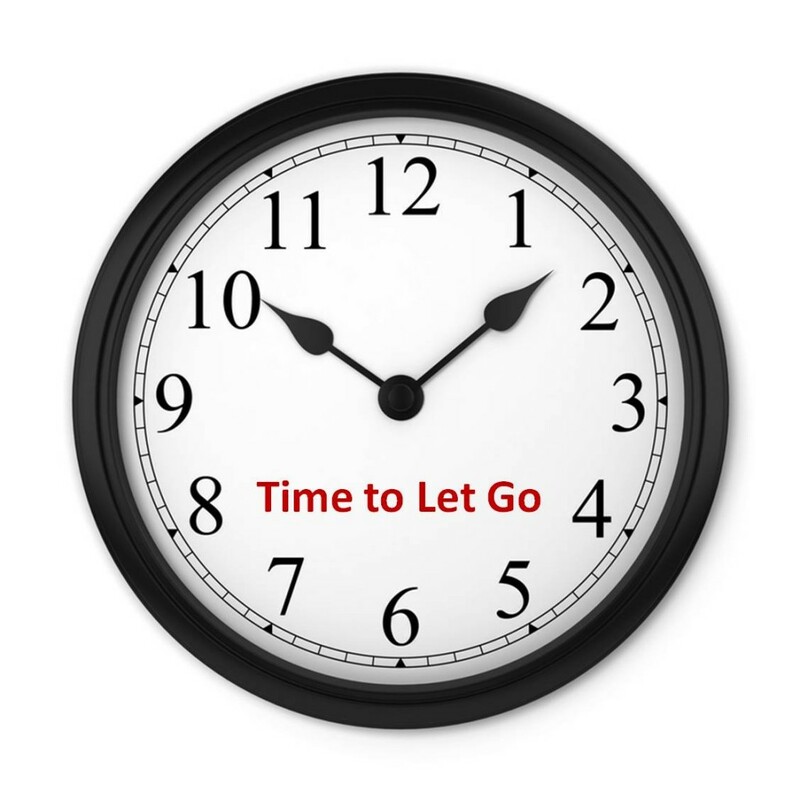 It’s time to let go when you realize you can’t control (or understand) why someone decides not to hire you. I’ve also learned it’s never about me personally and it won’t be about you personally, either. So, the next time you’re not chosen for a gig, simply say, “Okay. What’s Next?” I guarantee you, something even better is right around the corner. Keep Your Attention on Your Intention! Setting clear intentions keeps you focused and able to communicate clearly. Clear intentions also help you achieve your goals. I have recently been coaching someone who got laid off. I have known her for quite a while and have seen her grow professionally in a variety of settings. She has an entrepreneurial spirit and I have always thought she would be better off being her own boss. In one of our early sessions the topic of freelancing or starting a consulting practice came up. We talked about the pros and cons and then she went off on a previously planned family vacation. The next time I saw her a few weeks later she came into the coaching session and proclaimed, “I’m not going to be an employee reporting to someone else ever again! I want to help others and make money in the process” That’s a very clear intention. From then we started brainstorming things she could do to help others and earn money in the process. Several options came up and within a week, she had a name for her consulting business, purchased the URL, had a logo created and had several leads for projects and clients. Within the first six weeks after that she was off and running as a self-employed consultant going to meetings, writing proposals and doing some work. All the while she kept her attention on her intention, “I want to help others and make money in the process.” She is doing just that and I know in my gut she is going to be extremely successful. She has the drive, the knowledge, the people skills and the dedication necessary to achieve her goals. Let’s look at the concept of intention as it relates to other things. Suppose you have a big presentation to create and deliver. The first thing to ask yourself is, “What is my intention and what do I want the audience to be able to do, be, say, feel or think when I’m done?” Setting a clear intention helps you focus the design of the presentation so it relates back to the answer to this question. If you decide to use slides to help you enhance your message be sure they are visually appealing and not just words on the screen. When it’s time to deliver focus on your intention and simply tell your story with passion and purpose. When communicating in any situation it’s always a good idea to set a clear intention. Think about how you want the flow to go. Stephen Covey said, “Begin with the end in mind.” That’s good advice. Just keep your attention on your intention and success will be yours. You never know when 60 Minutes will knock on your door and if not them, then maybe a local investigative reporter. A little media savvy is a valuable skill for executives and their image-conscious organizations. Unless you’ve had media training you know most businesspeople would rather face a firing squad than a crew from the 5:00 news. Although most reporters have professional integrity, some can be crafty. I remember the story about a local fire chief responding to a reporter’s questions. When the story aired, he heard the original question he was asked about one topic. What followed was his answer to another question. The result was disastrous. To avoid the possibility of something like this happening to you, be sure to repeat the question in the form of a statement so there is no way it can be taken out of context. Also be sure to answer in complete sentences. Simple yes or no responses are easily edited. For example, the question might be, “What are your plans for staffing next year?” A tight response might be, “Our plans for staffing next year include creating three new positions in marketing and sales.” Remember, edits happen very quickly especially since most video is digitally shot. So, don’t take long pauses unless you have completely finished answering the question. To help you overcome stage fright once the camera is rolling, take a few slow deep breaths before you allow the first question to be asked. If a microphone is pushed in your face in a spontaneous situation, take a second or two to compose yourself and be sure to think before you speak. Take control of the situation. Remember, a significant amount of your communication in non-verbal so pay close attention to the signals you may be sending through your body language, facial expressions and vocal cues. Saying “no comment” may say more than you may mean. It is often interpreted as a defensive response showing you have something to hide. An alternative would be,“We’ll make a statement just as soon as we have all the facts.” This allows you to buy some time and prepare what you want to say. When you know in advance that you will be conducting a press conference, be sure to prepare. List the key points you wish to make and be sure the media has been adequately informed as to the purpose of the event. If there are items you don’t want to discuss due to confidentiality, personnel or legal reasons, stipulate up front that these items are off-limits. If the reporter persists, respond in a pleasant tone of voice that you remain firm in your decision not to discuss those issues at this time. When responding to the “loaded question,” it is best not to rephrase and repeat what you heard. Loaded questions are often confrontational and filled with negative language. The worst thing you can do is get defensive or hostile in your voice or body. In your own words, relate to the issue and be concise. You may want to begin with something like, “I wouldn’t describe the staffing situation like that.” A statement like this to begin with will also allow you to buy a little time think through your response. If a question is put to you that you do not have an answer for, simply say, “I don’t know. I’ll get back to you on that.” Then find out and follow-up. The worst thing you can do is try to talk around it. 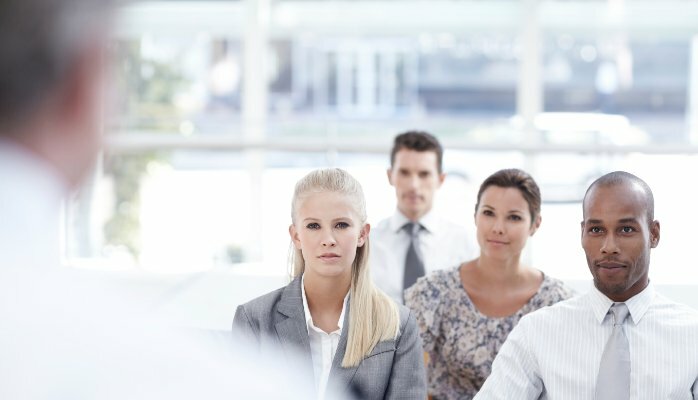 Your non-verbal signals will show the audience that you are unsure and insecure. 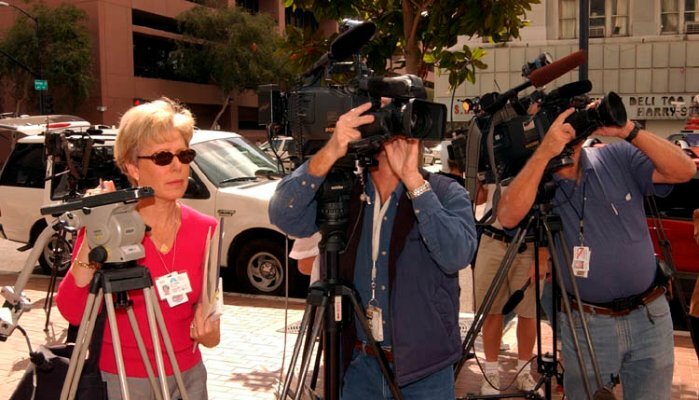 The bottom-line: Prepare yourself with media training before reporters come knocking on your door. In any situation always remember to respond rather than react. Don’t let your defenses get the best of you. Remain calm and take some slow deep breaths so you can think before you speak. How you say what you say really does matter. visit us at www.onthespotmediatraining.com for more helpful tips. Anticipate the toughest questions and prepare/rehearse your answers in advance. Know going in what YOUR goal is for the interview. Are you releasing new information or reacting to an event or story that’s already out there? Be able to cover key points in a conversational manner. Don’t memorize. It will sound like it. What is the story about? What is the hook/interest angle? How do we fit into the story? What do you want from us? Quote? Statement? Interview? Who else have you spoken with? What did they say? Have a mini-tape recorder handy or use your smart phone. Tell the reporter that you’ll be taping the interview, so you have a copy of what is said. This lets her know you’re not a rookie. Use simple terminology. If the subject is complicated, and the reporter is not up to speed, provide a simple verbal primer on the topic before the interview begins or give the reporter a handout of key information. Practice. Attend media training. See yourself on camera so you know what the audience will see. Know when to stop talking. Many a damaging sound bite has been uttered when the interviewee’s guard was down, after he/she thought the interview was over.